Liberalism has been managerial and wrong on economics. What’s Left? Can something new emerge from the ashes of the centre-left? Economist Branko Milanovic raises a question: is liberalism (or centre-leftism) dead? There’s a precedent here. In the 1970s the combination of rising inflation and high unemployment killed off post-war social democracy in much of the west: Marglin and Schor’s The Golden Age of Capitalism provides a great analysis of this. The precise date of the death varied from country to country. In France it came in Mitterrand’s ‘austerity turn‘ in 1983. In the UK it perhaps came with Callaghan’s claim that you can’t spend your way out of recession in 1976. Whatever, the fact is that in much the of the west old-style social democracy was killed off and it took Clinton and Blair to reincarnate it in rather different form. Does liberalism/centre-leftism today face a similar threat? There are reasons to think not. It’s not inconceivable that the Democrats, UK Labour party and French Socialists will one day find electable candidates. And some of the centre-lefts flaws – imagined or real – can be easily fixed. The identity politics and elitism that has devalorized working class experience is remediable; class politics and identity politics are to some extent at least complements not substitutes. It is technically possible to spread the benefits of globalization more widely through better redistributive policies. And the likely failures of Brexit and Trumponomics might well cause some kind of backlash. There is, however, a more pessimistic reading. For one thing, we might not see the sort of backlash we want. If or when immigration controls and protectionism are seen to fail to increase jobs and wages, nativists won’t realize the errors of their ways and repent. Instead, they’ll double-down and claim that claim that their policies didn’t go far enough. And in this they might win public support. The victories of Trump and Brexit, and rise of the National Front in France and AfD in Germany all vindicate Ben Friedman’s point that economic stagnation makes people meaner. It causes a rise in right-wing extremism, not leftism. Also, there are at least two flaws in liberalism/centre-leftism that aren’t so remediable, at least without transforming its essential character. One is that it has been managerialist. 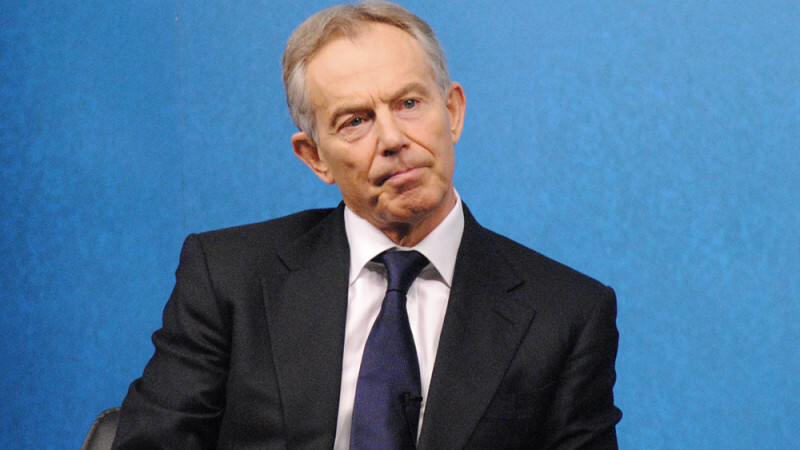 Perhaps Blair’s greatest fault – shared perhaps with US Democrats – was his faith in top-down leaders. This had many baleful effects, among them stagnant productivity in public services, the legitimation of the increasing wealth and power of the one per cent and the Iraq war. It also generated a backlash against the ‘liberal elite’ and a demand to ‘take back control’. The other is that the centre-left took economic growth largely for granted. New Labour believed that if it could provide stable macroeconomic policy and an attractive location for investment then growth would follow. That might have been the case in the 90s. But it isn’t true in our new era of secular stagnation. We need supply-side socialism. I think it’s possible for there to be a left which is open, liberal, non-elitist and economically efficient. We might hope that such a new left will eventually emerge from the ashes of centre-leftism and populism. My fear, though, is that by the time this happens there will be a terrible lot of ashes.